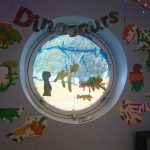 At Thornaby C of E School children in Nursery and Reception are provided with a stimulating learning environment which encourages learning through play – a fundamental part of early learning. 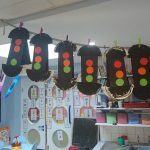 The children have a daily phonics session which will commence after children have become settled into Nursery. 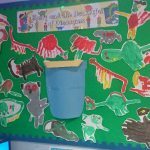 We have a sound of the week and children are encouraged to bring in items which start with this sound for our ‘phonics display’. We read a book of the week during the literacy session, snack time and home time. Children are encouraged to talk about the pictures in the story and predict what might happen. We discuss stories we have read and re-call the main events in the story. Children are taught the basic skills of counting and are encouraged to use number in their play. We will be starting a number of the week to help children recognise numbers and understand an amount can be represented by a number. We also use Ten Town to help children recognise numbers. 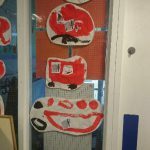 This term, we have been learning about shape and size. 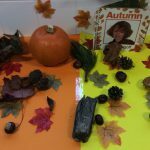 Nursery’s topics change 1-4 weeks, depending on the children’s interests. This topic we have discussed ourselves. We have painted self-portraits and the children have talked about who is in their family. We have had many group discussions about how we are all different and what makes everyone special. We have learned about people who help us and even had a visit from the firefighters! We held a superhero day to celebrate who our heroes were and gave the children the opportunity to dress up as their favourite superhero. We had blast! For fitness day, we all dressed up ready for sports! The children had access to the outside area all day but had to practice some sport skills, such as their throwing, catching and balancing skills. They all enjoyed working with their friends and exercising. We learned about the effects exercise had on our body and talking about keeping fit and healthy. 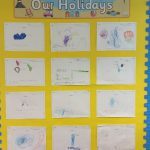 The children have daily phonic and reading sessions. Their repertoire of letter sounds will increase rapidly and we will be sending home 3 new sounds to revise every week. They are being encouraged to segment and blend simple words using ‘robot talk’. Action words are introduced to build up their sight vocabulary ready for reading. A book of the week is read daily and children are encouraged to discuss the characters and events in the story. They are learning to discuss, predict and evaluate the stories they have listened to. 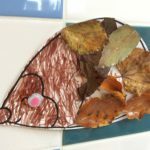 Patterns with shape, size and colour. Which is the biggest dinosaur? Where would you go and how would you get there?